Dimock activists who have been parading around the country telling tales of horror about fracking were being apparently being paid all along to shill. We always knew it had to be the case. 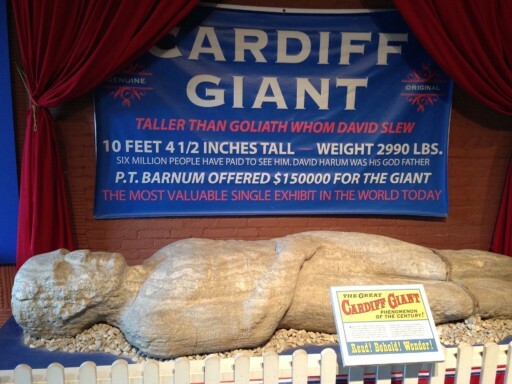 Craig Stevens and Ray Kemble have been traveling the U.S. for years putting on a road show so ludicrous as to make the original Cardiff Giant story seem credible by comparison. They claimed Ray Kemble’s water was polluted by Cabot. They put out videos looking aghast at water reports and spinning the results to suggest the water was undrinkable. They pulled every trick in the book and offered zero credibility except with those who wanted desperately to believe fracking was evil. They were sponsored guests at one Food & Water Watch fiasco after another where they painted themselves as innocent victims only desirous of warning others. And, now we learn they were shills for hire, or at least appear to be. This was the big news that came out of the Pig to Rigs lawsuit today in the Susquehanna County Court of Common Pleas as Judge Jason Legg heard four matters. The first and most important was a motion by Kemble to quash the subpoena issued to him to appear for a deposition by Cabot. Kemble was there and spoke for himself, although he continued to be represented by Raiders during the proceedings. Cabot Attorney Amy Barrette opened the discussion with an incredibly eye-opening statement, noting that Cabot had depositioned Craig Stevens. Stevens and Bill Huston had both been given power of attorney by Kemble and both were subpoenaed for depositions. Stevens apparently acceded to his and Barrette summarized some key facts learned, including that Stevens and Kemble were, during all those appearances around the country, being paid by FrackAction, Food & Water Watch and Catskill Mountainkeeper, et al to the tune of up to $5,000 per month. Perhaps that accounts for the $42,000 Food & Water Watch oddly gave the Mountainkeeper in 2016. We’ll undoubtedly learn more as things proceed with the case, but these revelations alone are startling. We never pretend, here at NaturalGasNOW, to be anything other than an advocate for the industry, landowners and the rural citizenry at large. I have always acknowledged having industry clients, Kemble and Stevens, by contrast, have always portrayed themselves as nothing more than innocent victims and spokespersons for other victims, current and future. Stevens, in particular, has carried this banner, together with a jug or two of water supposedly dirtied by fracking. Now, we’re getting closer to the truth. Some Dimock activists were apparently being paid along the way. There’s nothing wrong about that when it’s disclosed, of course, but how many of those attendees at ginned up protests, where they appeared to speak, knew they were being paid? Darned few, I expect. And, how New York State legislators knew, when Craig Stevens was motor-mouthing a speech to them about what was happening in Pennsylvania, that he was representing someone other than himself? How many news reporters thought, when they interviewed the colorful Stevens and Kemble, that they were perhaps being paid to talk? Just amazing. There was still more to the proceedings today, though. Kemble, though he was there, stood through the hearing on his motion and his attorney’s motion to withdraw from the case. Barrette brought out that Kemble had previously backed out of his deposition on the excuse of health at the same time he had flown to California for a Food & Water Watch event. She pointed out Kemble had, in fact, had multiple opportunities to being be deposed and avoid sanctions, Following discussions, it was agreed the parties would attempt to do the deposition sometime in mid-March, pending medical evaluation, with a resumption of the hearing on March 29th, giving Kemble yet another chance to avoid sanctions. Following this agreement, the court took up the matter of Attorney Rich Raiders’ motion to be allowed to withdraw from representing Kemble. Raiders reiterated what was in his motion and discussed thoroughly here. He also offered exhibits to make his case and called out Bill Huston for playing attorney and interfering with the case to Kemble’s detriment. Kemble than got up and publicly fired Raiders. Barrette objected noting how Kemble’s lack of attorney could have dire consequences for him and the case. She suggested a conditional withdrawal; that is to say Raiders should be able to withdraw only after Kemble secured a new attorney, Kemble said he’d have one by March 29th and, therefore, that was how the matter was left. Jule Ann Skinner, who had worked with Pigs to Rigs lawyer Charlie Speer appeared next. She gave various poor excuses for not agreeing to a deposition, but volunteered to give one in the next 60 days. That left Bill Huston, who also wanted his subpoena quashed. He claimed to have not been served properly, so Cabot had him served again by the Sheriff in the presence of the Judge; another bizarre moment in Pigs to Rigs saga. Huston had no legal counsel but said he might get one now and, therefore, the court ordered a continuance on his motion until March 29. Huston had marched up to the table with a filebox but claimed he had no interest in being an attorney and meant no respect to the court in acting to assist his friend, Ray Kemble. Then he took a dig at Raiders saying Kemble had functionally had no attorney because Raiders had done such a bad job. One wonders how he knew that then if he didn’t fancy himself an attorney, but, hey, whatever. The most interesting and sad thing is that Bill Huston started off by stating “I am an indigent.” It was his way of saying he couldn’t afford to pay an attorney, and it’s apparently true based the money Bill regularly solicits these days on his blog to pay his most basic bills. Bill doesn’t much care for me, but I hold no grudge against him. He’s a true believer, not a con man, as I see it. Meanwhile, we hear in court the friends he’s defending and possibly getting himself in deep trouble over have been getting money from the likes of Food & Water Watch all along. Did Bill get any of that money? If he did, I’ll get it was very little and that is what is so especially sad about his situation. Likewise, Ray Kemble seems to have been used by other players, but that’s another story. Stay tuned as things evolve and more truth seeps out. I was there in the courtroom. It was pathetic to watch these people who once disrupted Albany hearings, town board meetings and schoolhouse gatherings with an arrogance second to none, sit there and face in a court of law the consequence of actions. It was enlightening (and expected by those of us in attendance) to hear the evidence presented and how these people were on the payroll of anti-drilling New York drilling organizations. Bill Huston once told the Port Crane Town board that he was a scientist. Apparently, he’s likely now to face charges of practicing law Without a law degree. Now we know the motive behind the the activism of people like Huston, Craig Stevens and poor Ray Kemble, It wasn’t cause and effect from the drilling operations but that old motivator called money. Where was Sandra Steingraber, Mark Ruffalo, Anthony ingraffea, etc.? why were they not there to support the people they held so high at all the anti-drilling rallies in Albany and elsewere around New York State? Will Governor Cuomo ever see that the lies presented in Albany, the thousands of signatures raised on the backs of false testimony from the above and the litigants in this lawsuit and their failure to provide any proof other than the canceled checks on which they were collecting from Food and Water Watch and other foundations that supported them. Just based on what little we heard today in Montrose, Governor Cuomo should rethink his extended moratorium in New York and put the real science forward allowing drilling to move forward both in New York and the DRBC. Wow. Well I have seen Sandra tweeting “in solidarity” as they say with Kemble, who she refers to as a friend. I’m reading Craig Stevens deposition that was provided in the comments here and it’s fascinating. It’s really a shame that reporters will not look into what the activists in this movement have been doing for years, because it is truly astonishing, and I have tried myself to get them to do so now for years. Yes it is fascinating. In fact it’s the first time in my life that I read over 300 pages in one afternoon. Craig and Ray may have committed income tax evasion according to his testimony. He said he was paying Ray $500 a week for driving a water truck but he never gave Ray a 1099 and Ray wasn’t paying income tax on it. There’s also issues about Craig taking money from Food And Water Watch and The Catskill Mountain Keeper and how he was handling that money. Then according to the deposition F&WW was funneling money to Craig through the Mountain Keeper for some reason. Very interesting reading indeed. Mmm. hhm. Well I contacted the nytimes back in 2016 when a sane energy activist who had been misrepesenting reality for years was used as a source twice and have contacted reporters and editors for years now. Their failures are mind blowing and widespread. How in heck can the same people show up all over the place, at hearings, protests, arrests etc that are covered by “the media” for years and “the media” doesn’t recognize the same groups and people nor that a whole lot of what they are saying is miles from reality? I don’t understand how organizations from rhe Sierra club to food and water watch and Catskill mountainkeeper and 350org and on it goes are seen as legitimate sources for info by reporters or the public or politicians at this point. Nice that you gave your condolences to Ray, Vic. As he did you. I have a great pic of that. Well done! Multiple strains of cancer after living 500 ft from a Cabot gas well under repair. Not unexpected and yes – those who call him a liar – like you – have not helped. Maybe God will understand since there is so much profit to be made. Maybe that benzene and toluene, that was in his water before drilling, or that cigar he smokes caused his cancer. Do you have proof it was caused by Cabot ?? I’d be careful about accusing Cabot without proof. Regardless of personal feelings/opinions of those involved in today’s proceedings, the question remains, if the company responsible for all the controversy is completely innocent, then why are the landowners in the 9 sq. mile area of Dimock still being held hostage by the dep consent order? IN reality – if you did a media inquiry with Colleen Connoly from DEP – she would tell you testing shows the methane levels have no returned to normal. One set of testing I saw last time I was there in ’17 was running 23K ppm – almost explosive – that’s years after the original contamination. As a PR hack for Cabot – I would not expect you to admit that. Even right wing pundits and experts finally admit Cabot did pollute the Dimock aquifer. Ask Engelder. Once you try and take Cabot’s position that the whole thing is made up you look really really bad Tom. I look forward to driving that point home over the next year. Did Cabot pollute the Dimock aquifer Tom? Yes or no – or answer any way you can. I’ve asked you for 3 years – you never could reply. if there’s contaminated water in Susquehanna County, why don’t any of the 58 continuous water quality monitoring stations operated by the Susquehanna River Basin Commission ever detect that contamination? DEP isotopic testing proved Cabot gas is in the water. Predrill testing showed no hydrocarbons in the water before drilling. It’s no curious thing. Just the lies of Tom and others and the desire for cash have caused some of you to leave your critical thinking skills behind. There is no continuous water monitoring of these water wells. Jan, there’s no “reply” button on your reply, so I’ll put it here. Please cite the source of your claim that “DEP isotopic testing proved Cabot gas is in the water. All of the lab results I found on the DEP web site had the names and addresses redacted. And I don’t think the DEP did any predrill testing. Who did that, and where can we see the results? “There is no continuous water monitoring of these water wells.” Maybe not, but there is continuous monitoring of the Susquehanna River. If your claim of contamination is correct, why doesn’t any of it end up in the river? The DEP updated their excel file of Water Supply Determination Letters (available on line) on February 4th, 2019. There have been 24 determinations in Dimock since January 2009: one in 2009, eighteen in 2010 (all in the Dimock/Carter Road Area as defined in 15 Dec 2010 Consent Order between DEP and Cabot), one in 2011, one in 2013, two in 014, and one in 2018. Cabot was required to conduct a series of actions to mitigate water quality problems and was required to send samples over a period of at least 8 quarters after the water quality was restored. I can’t find copies of any report from Cabot to the DEP, but I also can’t find any further Determination Letters suggesting that Cabot failed to carry out their required actions. And I also note that the number of Determination Letters for Dimock sent since 2010 is four. This would indicate to me that there is no overwhelming water quality problem in Dimock as a result of natural gas development. As I have pointed out to you before, the PA Rural Conservancy has reported for years that 40% of the fresh water wells drilled in PA do not meet at least one Federal water quality standard. I’m shocked, SHOCKED, to find that there’s dishonesty going on here. (Apologies to ‘Casablanca’). Regarding the last sentence in the above excellent piece – Kemble having been used by other players – that is exactly the situation in which Chief Archie and his Gang found themselves during the DAPL/Standing Rock fiasco. In the North Dakota situation, well funded outside interests (several of whom are currently the targets of an ongoing RICO lawsuit), took over much of the disruptive, violent actions which have left an intensely embittered residue directed against the Sioux tribes. Oh well. Dine at the Devil’s table, don’t be surprised at the consequences. You mean Vera LOL ?? Here’s Craig Stevens deposition. There’s some interesting information in it. First he denies taking money from Food And Water Watch then at about page 230 he cracks and admits it. It also appears to me that he is throwing Ray under the bus with some of his answers. It’s definately worth taking the time to read it. Looks like Cabot gave the transcript to Phelim. Is that legal Don? Aren’t you the person who gave me the “sealed” court records from the Hallowell (might have misspelled this) legal proceedings where we argued about “gag orders”? Was that legal? I see you were mentioned in it. Evidence in a public trial is public information and it is not illegal to share. Someone should check with Bill Huston on the legality of this. I’m not sure yet in this case if it was legal for Cabot to give Phelim the transcript but will soon. I look forward to publicly posting the coming depositions from our side – since y’all set the precedent here. Well Mark Twain is supposed to have said. A gold mine is a hole in the ground with a liar standing on top of it. I also attended the court proceedings. This group of folks kept saying they were “grassroots” and would even pass around a coffee can for donations while their masters at the Catskill Mountainkeeper, Food and Water Watch, and Frackaction had them on their payrolls. I attended many anti gas meetings and saw this behavior constantly. The worst part of all of this is that Stevens and Kemble are PA residents, yet never missed a chance to invade NY and protest right along with paid reps of groups like Citizen Action, NYPIRG, Common Cause and many other “non – profit” groups. It would seem that there MAY be grounds for IRS involvement into all of this as Frackaction, Catskill Mountainkeeper, and Food and Water Watch are all 501(c)(3) “non – profits. Seems like that paying Stevens and Kemble money to lobby, which is prohibited by the IRS, is a straw man activity that should be investigated by the feds. Expecting NY to check into this is ludicrous because these NGO’s are a shadow government and Cuomo hires these types all the time. His present DEC Commissioner Basil Seggos came from the Natural Resources Defense Council and the former commissioner was Joe Martens who also was the past president of the Catskill Mountainkeeper. where is Vera? doesn’t she have something to say? seems like she posts 5 seconds after Tom posts anything. like she waits all day for a chance to spew out her propaganda and opinions. The truth comes out! !, but too little too late for NY and DRBC landowners. the damage is already done. Vera was at the hearing. Probably still in a state of shock that she wasn’t being paid $5,000 / month. Or was she? Truthfinder, EU, Coffeeguyz – wait Tom – I though you said people could only post here if they use their real names?? So – you’d only be referring to Ray there – no one else involved lives in Dimock. Craig never lived in Dimock. Maybe look into that. Craig Stevens didn’t live in Dimock. But he sure did get paid. He lived at 1527 Silver Creek Road, Montrose in Silver Lake township from January 2010 to September 2014. This residence is less than 2 miles from Salt Springs State Park and is about 11 miles north of the Dimock/Carter Road Area. He had a gas lease and pipelines running across his property. And we also learned that two of the documents Ray brought with him to the deposition were water test results from Ray Kemble’s well water. One is dated July 7, 2008 and the second is dated 20 Jun 2008. And these pre-drilling well water tests indicated the presence of benzene and toluene in Ray Kemble’s well water. Tom’s antiquated comment system does not post a reply button. It would not be unexpected when you live 500 ft from an industrial clean up zone that you might get cancer. Note how I point out the obvious – and you as trained try to use that to make me look evil. “As trained” is the important element there. My agenda is to raise millions to help these victims. I know – that makes me soooo evil and hateful in the eyes of Tom and his team here. Tom’s antiquated comment system fails often. ” Please cite the source of your claim that “DEP isotopic testing proved Cabot gas is in the water. Based on the existing geochemical data set, we can conclude that the origin of the stray gases detected in the Florentino and Sautner water wells (nine samples analyzed thus far: two stray gas,seven potential sources) is thermogenic in origin, consistent with natural gas from Devonian production. microbial gas that occurs in some shallow aquifer systems. 1) natural gas from formations of middle/upper Devonian origin. the lab to also analyze for the stable nitrogen isotopes and the stable carbon isotopes for C2. These analyses will be available late today or early tomorrow and should help to further refine this interpretation. Not naturally occurring biogenic gas a Cabot still claims. Tom lies to you. He knows the truth. If he posts this reply I will offer him some respect for allowing some truth on these pages. If you’ve gone all this time thinking these victims are frauds and liars and now you find you were lied to – would that upset you? Jan, nice try on citing a lab test from 2009 to represent that the water quality in 2019 is messed up. Cabot completed their required cleanup work before the end of 2011. DEP agreed. Game over. Got any more recent data? Show me. The thing that upsets me is the activities of paid shills, “activists”, out of town millionaires like Tom Steyer and the clowns at the Park Foundation, the Schmidt Family Fund, The Heinz Fund, Food and Water Watch, the nut jobs like “The” Delaware Waterkeeper, the NRDC gang that has infiltrated the NY DEC, and Andrew Cuomo’s relentless refusal do anything except pander to those who give him campaign contributions. The virtue signalling bums who fly in to get media coverage in a feeble attempt to restart their acting or music careers. Those people upset me. Reading the Stevens transcript makes me think I don’t want to step out and have a beer with him, and I do think he’s a fraud and a liar. It will be interesting to see what the Kemble/Huston dream team come up with towards the end of March. This story is far from over. My hope is that it is found that Stevens and Kemble are just the tip of the iceberg and that Frackaction, Catskill Mountainkeeper, and Food & Water Watch are just the start of the exposure of what these groups have been up to regarding paying shills. What’s interesting is that Catskill Mountainkeeper is at Binghamton University indirectly through a “non – profit” called Southern Tier Solar Woks which is a satellite of Binghamton Regional Sustainability Coalition. STSW claims that they have a “partnership” with the Mountainkeeper and NRDC – https://www.binghamton.edu/cce/ccedatabase/vieworg.php?oid=M0IwMjE2 Don’t be surprised if the NRDC and Sierra Club are dragged in as well. What really needs to happen is for Cabot to get their hands on this Senate report and have their lawyers start digging – http://www.epw.senate.gov/public/_cache/files/6ce8dd13-e4ab-4b31-9485-6d2b8a6f6b00/chainofenvironmentalcommand.pdf This group of billionaire foundations mentioned in the report and their lackey “non -profit” 501(C)(3)s have to be stopped and NY landowners have their mineral rights restored. Never ceases to amaze and amuse that you and your ilk come across as demanding that gas drilling be without problems or risk. A leaking gas well will not pollute a river 30 miles away. The determination letters are proof Cabot polluted these wells. They don’t go back year after year and put out a new letter for each case. The 9 mile moratorium stays in place because according to DEP the methane levels in the water have no returned to normal. Jan, it’s 11 miles from the “Dimock/Carter Road” area to the Susquehanna River at Meshoppen, and you keep talking about the aquifer. The ground level at Meshoppen is about 500’ lower than the level in Dimock, so if there’s contamination in the aquifer in Dimock one might expect that it would end up moving downhill and into the river. I told you before, and I’ll tell you again: give me credible references to actual lab work, not biased media reporting by local newsies with no observable reporter skills or investigative talent. The PSB is as competent as Bob Howarth’s PSE: zero equals zero. I’ve been waiting since Dec. 17, 2014 for all the Press and Sun Bulletin articles about NY farmers and landowners who have had to sell their farms and land because they could not lease their mineral rights to gas companies thanks to Cuomo and his buddies in the environmental movement. The poverty and destitution in NY thanks to the efforts of you, Ray, Craig, Vera, the news media, and a host of others is deplorable. You’ve helped to destroy the dreams and aspirations of countless thousands not to mention the taking of their mineral rights. I’m still waiting for the articles. It’s not a job…It’s a career… 7 lawyers all paid hundreds of thousands from sucker members of the Sierra club… how much you taking in your business venture Jan? 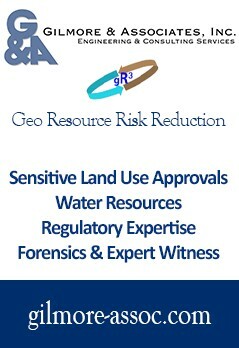 Have you looked at the EPA PowerPoint? Have you looked at the Methane Migration investigation /GW Vistas done by Lindsay Byron & Pelepko from DEP as well as Cabot? How come the Attorney General is investing? I’ve invited Vic & Tom many times but they don’t show. Come see a moldy, disgusting, non functioning “treatment system “. Why don’t the two of you come today?. I’ll be pleased to come. Let’s try for the week after next. Let me know what’s a good day. Why not today. You can bring Vic & Bill too. Scroggins & her ilk is/are NOT welcome. Can’t do it today or this coming week for personal reasons, but send me an email about your availability the week after.